A public record can be corrected or a vehicle titled by petitioning for a writ of mandamus. Mandamus (Latin for "we command") is a writ issued by a court commanding a public official to perform an action. Mandamus is available as a remedy either to review administrative decisions when the legislature has not provided for judicial review or to compel public officials to perform a function they have a duty to perform. Mandamus is often described as an "extraordinary" writ and will not be issued unless there is no other legal remedy available. Whether an action should follow the rules of administrative mandamus or conventional mandamus is sometimes confusing because both types most often concern the decisions of administrative agencies. This page describes an action for conventional mandamus, which is appropriate when correcting a public record or getting a license or permit issued. As an example, someone who wishes to title a vehicle must file a petition for a writ of mandamus in Circuit Court stating how he or she came into possession of the vehicle and asking the court to issue a writ of mandamus commanding the Maryland Motor Vehicle Administration (MVA) to issue a title. The petition would name the MVA as the defendant. The Circuit Courts do not provide forms for filing a complaint. (Click here to read more about filing a complaint on this site.) There are a number of books that have sample forms in them showing the format of a civil complaint in general and specific sample complaints in an action for a writ of mandamus. Full citations are below. If the official fails to respond to the complaint, the Court will, on motion, hear the complaint ex parte, or without the defendant present. On request from either party, an action for a writ of mandamus will be tried before a jury. The rules of discovery and evidence that apply in regular civil proceedings also apply in an action for a writ of mandamus. If your case goes to trial you should understand that representing yourself at trial may be difficult, and you are encouraged to seek the help of an attorney. Peoples Law Library maintains a list of organizations that may provide free and reduced cost legal services. Read the Law: Md. Courts & Judicial Proceedings § 3-8B-02, Md. Rule 2-401 et seq., Md. Rule 5-101 et seq. These books can be found at many Circuit Court Libraries. They explain mandamus and when it is appropriate. Many contain sample documents useful in filing a complaint. Any potential litigant who is not clear on what to do should consult an attorney. Law librarians and Circuit Court Clerks cannot give legal advice. A Clerk will not review a complaint and acceptance by a Clerk does not mean that the complaint meets all of the requirements of the law. 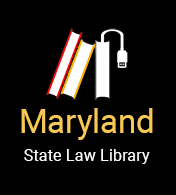 Maryland Civil Procedure Forms, Vol. 2, Title 15: Chapter 700 (3d ed. 2000).